President to hold annual pre-Rosh Hashanah conference call with Orthodox leaders, snubs Reform movement reps who pledged to refuse invite. 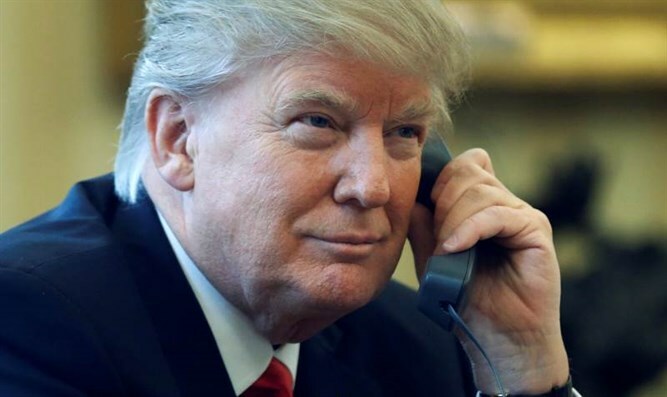 JTA - President Donald Trump has invited representatives from three major Orthodox umbrella groups to join a pre-Rosh Hashanah conference call, but pointedly left off the invitation list two non-traditional movements that had said earlier they would not take part. The call, which will take place Friday morning, comes three weeks after three non-Orthodox movements — Reform, Conservative and Reconstructionist, all declining in numbers and predicted to continue that decline— also declined to help organize an annual rabbis call that Trump’s predecessor, Barack Obama, had instituted. The Reform and Reconstructionists were not on the invitation list this year, spokespeople from both movements said. While Julie Schonfeld, CEO of the Conservative movement’s Rabbinical Assembly, was invited to take part in Friday’s call, she declined. In addition to the Orthodox Union, Agudath Israel of America and the Chabad-Lubavitch movement, participants who confirmed to JTA that they would be joining the call include four general organizations: the American Israel Public Affairs Committee, the Conference of Presidents of Major American Jewish Organizations, the Simon Wiesenthal Center and the Zionist Organization of America. Reform movement leaders, who led the decision last month to call off the clergy call, stood by their decision and said they would not accept an invitation from Trump had it been proffered. This is in sharp contrast to their silence about Obama's non-veto of a UN resolution condemning Israel, the first time the US withheld its veto in comparable situations. “We hope that the President will use the call as an opportunity to condemn white supremacy,” Roth said. The Anti-Defamation League at first erroneously reported it was asked not to join. Later Thursday, an ADL official told JTA that an invitation had been directed not to CEO Jonathan Greenblatt, but to another ADL representative. ADL will be on the call, the official said. Queries to the American Jewish Committee asking if its officials had been invited or planned on taking part went unanswered by press time. Schonfeld explained why the Conservative movement will not participate. An invitation was extended to some individual rabbis from all the movements, and some could well take part. There was wiggle room in the original statement put out last month by the three non-Orthodox movements. “We cannot organize such a call this year,” it said, leaving room for individuals to take part. Representatives of Orthodox movements, the only growing Jewish sector in the US, said joining the call was common sense. Rabbi Levi Shemtov, the executive vice president of American Friends of Lubavitch (Chabad), said conversation was a critical component to any relationship in Washington. Shemtov said that he would have taken the invitation regardless, but he noted that Charles Schumer, D-N.Y, the Jewish Senate minority leader, in recent days has struck a deal with Trump on raising the debt ceiling and is close to another on protecting from deportation the children of illegal immigrants. Nathan Diament, the Washington director of the Orthodox Union, said the call was part of the natural back-and-forth between the Jewish community and any president.